The Milano Bunk Bed by Verona offers a traditional bed frame that utilises the use of space saving bunk beds which helps to maximise the space available within your room. This bed frame would suit all settings and would add more traditional twist in contemporary homes. Children love the fun nature that bunk beds bring into their room. 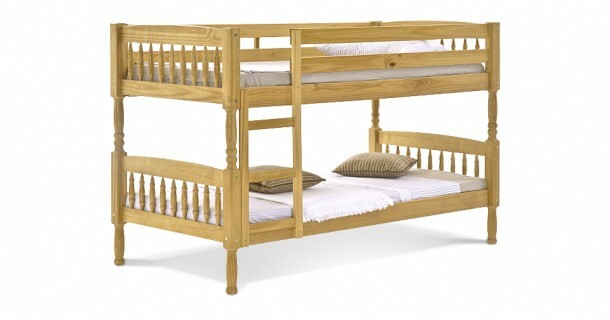 The Milano Bunk Bed by Verona is made from pine offering durable support a long lasting bed frame. Please quote this Products's code 81025B to speed up your query if related.